Lolli Pop Mountain / Dorothy Kristin Hanna, a photo by trudeau on Flickr. Juxt A Putt Putt @ Artspace Shreveport features 11 artful courses of miniature golf, says Julia Foley. The summer-long exhibit - though Aug 11 - opens Fri, June 1, 5:30 to 8 pm, with food, drink and reggae by the Stiff Necked Fools. Above: Mitch Landry, Caitlin Lindsay and Bruce Allen building Lolli Pop Mountain, a design by Dorothy Kristin Hanna. More photos of The making Of Juxt A Putt. 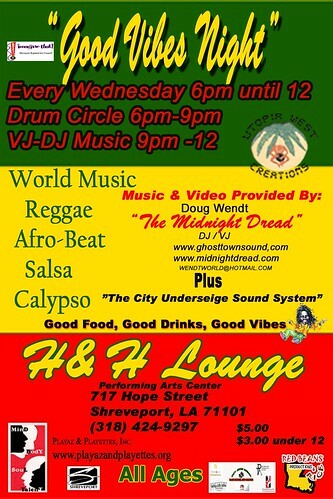 Drums & Dj's on Wednesdays, historic Shreveport, a photo by trudeau on Flickr. Historic Allendale is a quiet place today. Housing has been decimated; businesses are not exactly thriving. A lot of Allendale is looking like the country. Doesn't take long for a cleared lot to become a grove of trees. And that makes it fertile ground for urban imagineers. 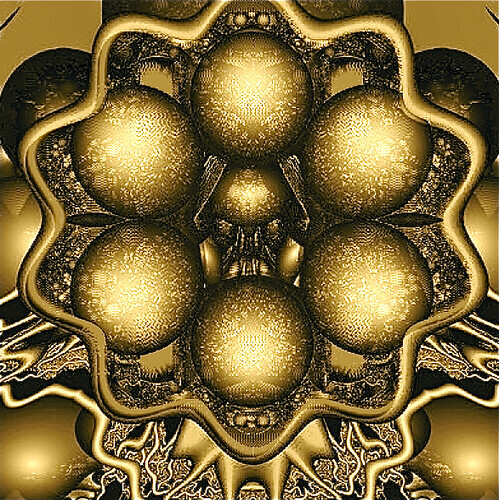 In every direction one can see possibilities for renewal. One fellow who is busy making Allendale's possibilities into reality is musician / activist Ron Hardy. 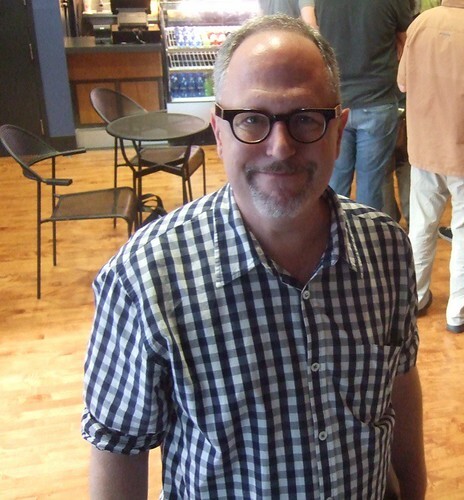 He has reconstituted the H&H Lounge, once a neighborhood tavern, into a performing arts venue. The H&H Lounge, 717 Hope St, is next door to the former Pete Harris Restaurant at 1855 Milam St.
Milam at Hope St is a beautiful part of historic Shreveport. If your vision is wide-angle, it's a thrilling part of the city. It's safe and mellow. Join Hardy and his musical buddies on Wednesdays for a drum circle and reggae session. And for informal excursions into the artful possibilities of urban transformation. JuxtAPutt @ Artspace Shreveport, a photo by trudeau on Flickr. 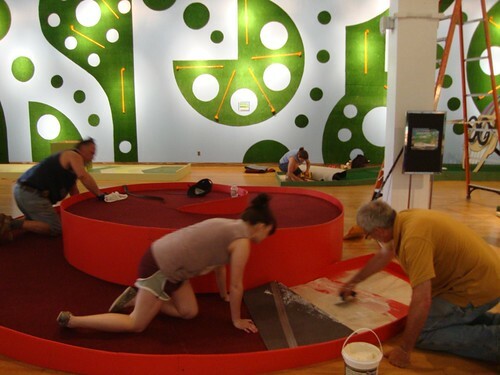 Some of the city's top designers have built interactive golf courses in miniature for the summertime pleasure of the art-minded public, says Julia Foley. There are 11 art-inspired holes to card at Artspace Shreveport, 710 Texas St. Begin with the “JawBreaker,” designed by Jim Hayes, and find your way through “Alice in Putterland,“ designed by Ryan Shulze. Don’t get caught in the “Mousetrap” designed by JRyan Artist or lost in the “8 Bit Dungeon“ designed by Micah Harold. Seven more putting greens, says Foley, were created by Wade Easley, Dorothy Kristin Hanna, Travis Jore, Mattie Lofton, Christopher Merckle, and Mike McSwain. For the opening party, Fri, June 1, admission is $10 for the Par-Tee, from 5:30-8:00 pm. Tickets for golf games, drinks and food can be purchased for $3 and up. 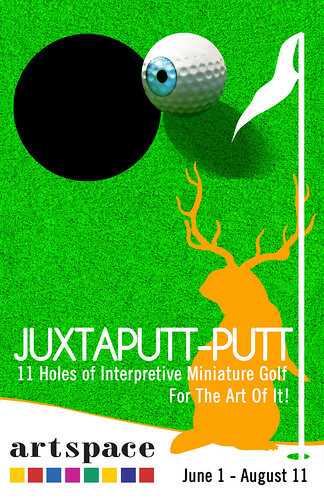 JuxtaPutt-Putt golf starts at 8:00 pm for $7 person. Show rolls from Sat, June 2 to Sat, Aug 4.
jamesBurton 2, a photo by Greg Pearson Photography on Flickr. What were you doing when you were 16? asks Ed Ward at npr.org. Untitled, a photo by oneeyeddogblues on Flickr. 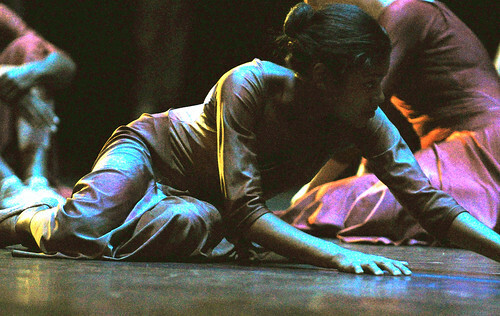 Studio performances are free and open to the public. They are held on Saturdays at the conclusion of each weeklong workshop, says Anglin. For more information, or for those wishing to make tax-deductible donations to the Louisiana Dance Foundation for the 29th Annual Summer Dance Festival, contact Paula Thomas at (318) 861-3006 or visit www.louisianadancefoundation.org. Paul Simon's Graceland is having a 25th birthday and indie artists have made a series of Graceland covers. In this one, shot by Allison Bohl, Shreveport lass who lives in Lafayette, the Louisiana band Givers sings "That Was Your Mother," accompanied by veteran artist from Scott, La, Dickie Landry.They are also joined joined by Freres Michot. "Most of us grew up with that album in our household – it's probably made its way into our subconscious, and it's influenced the way we play as a band," says Givers singer-guitarist Taylor Guarisco. Givers' female singer is Tiffany Lamson. Orbital portal , a photo by trudeau on Flickr. DigiFest South may be like your uncle's BBQ Cook-off but with sea salt over vegan sushi from Haumea - with a side of granular oscillations. DigiFest is Sept 7 – 9, 2012, at the Bossier Civic Center. ALL submissions must be received at the Bossier Arts Council by 5:00 pm July 31, 2012. Hale Baskin, singer / photo Kelsey Winterkorn, a photo by trudeau on Flickr. "She moves effortlessly from channeling the songbirds of the 1940’s Big Bands to classic Ella Fitzgerald inspired Jazz standards to funky R&B and Motown favorites to down home blues tunes," says ourstage.com. Singing in the Bay Area since age 13, Hale Baskins won numerous jazz awards before moving to Denton, Tx, to study music at North Texas State. Today she travels across Texas with her group. Looks like a rare treat to me. Bring money for nachos, tacos and mango salsa by caterer Carolyn Manning. Carolyn will have Korean BBQ and Jerk Chicken tacos and the mango salsa goes on all. $5 each. Andrew Parsons is a culinary artist who feels most fulfilled in collaboration with his clients. As a chef, Andrew utilizes fresh, wholesome, as-local-as-possible ingredients to create gastronomic experiences. Parsons began his culinary career at Jay Rigby's in Bradenton, FL, went on to cater farm parties in Denver, NC and he now owns Lagniappe Foods in Shreveport. His culinary experience comes full circle in the construction of highly-functional, memorable and exciting kitchens. 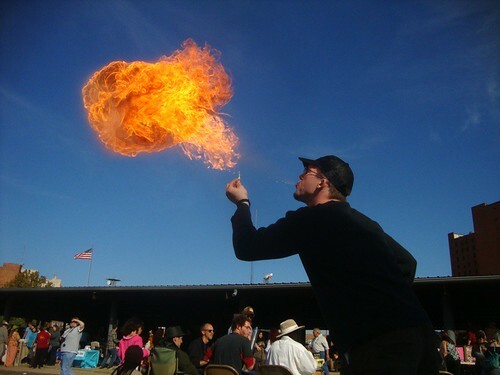 Pete Fetterman is a fire-breathing performance artist and musician. 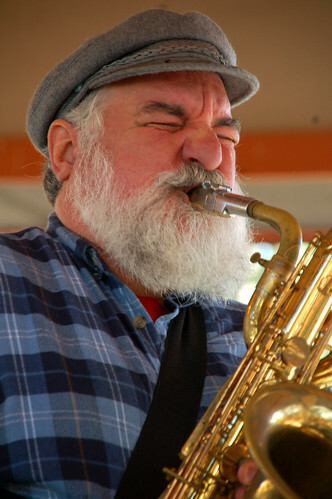 Fetterman has performed at the McNeil Street Pumping Station New Music Festival in 2009 and 2011. He has been involved in multiple collaborative music projects including Sound Medicine Research, Drum Militia and Mosquitosophagus. Fetterman often creates with found objects or handmade instruments in the exploration of sound. He will perform an original composition. Kathryn Usher creates art work influenced by popular culture, voodoo and politics. Her works incorporate digital media, fiber/textile, recycled/found objects and traditional materials. In 2010, she was recognized by UK art scholar Dr. Melissa Westbrook as one of the artists in the Neo-Outsider art movement. Usher is in the process of turning her frontyard into a folk art environment. 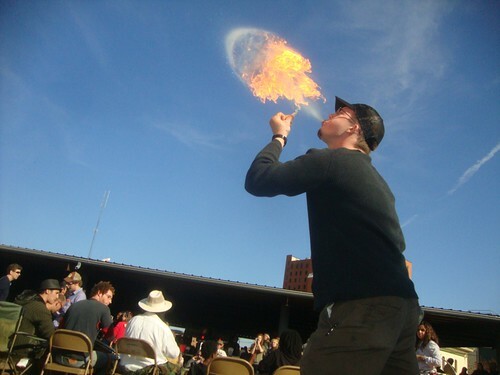 Dacoda Montana is a musician and artist based in Shreveport, LA. His performance-based, down-tuned, avant-distortion group John Calvin is a experiential multi-media methodology investigating the transformative nature of analog technologies. He has toured nationally performing and exhibiting his experimental films and melancholic "dirge-concrete" compositions. He believes in the importance of place. 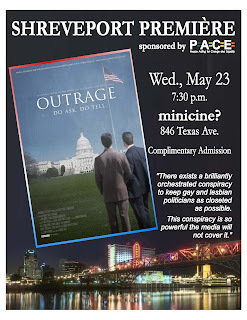 “Outrage” is the Emmy-nominated documentary film that will have its Shreveport premiere on Wednesday, May 23rd at Minicine, 846 Texas Ave. Doors will open at 7 pm; the screening will begin at 7:30 pm followed by a panel discussion including panelists who appear in the film and whose lives have been personally affected by events described in the film. “Outrage” features powerful closeted gay politicians whose anti-gay votes brought, and continue to bring, great harm to ordinary gay Americans and their families. The film's message is about the evils of the closet and the media conspiracy to enable the closet to persist. “Outrage” is about how the closet can lead people to commit shameful acts, and can even lead them to betray those closest to them and their own personal integrity for the perks of political power. Closeted politicians in “Outrage” turned a deaf ear to pleas from AIDS victims and activists, and repeatedly voted NO for HIV funding while half a million Americans died from AIDS. Closeted politicians voted NO to a federal law protecting gay people from job discrimination so that even today, gay people can be fired in 29 states and transgender people can be fired in 34 states even if they are star employees. Closeted politicians voted NO on openly gay service in defense of our nation which led to an outrage that our entire nation suffered. 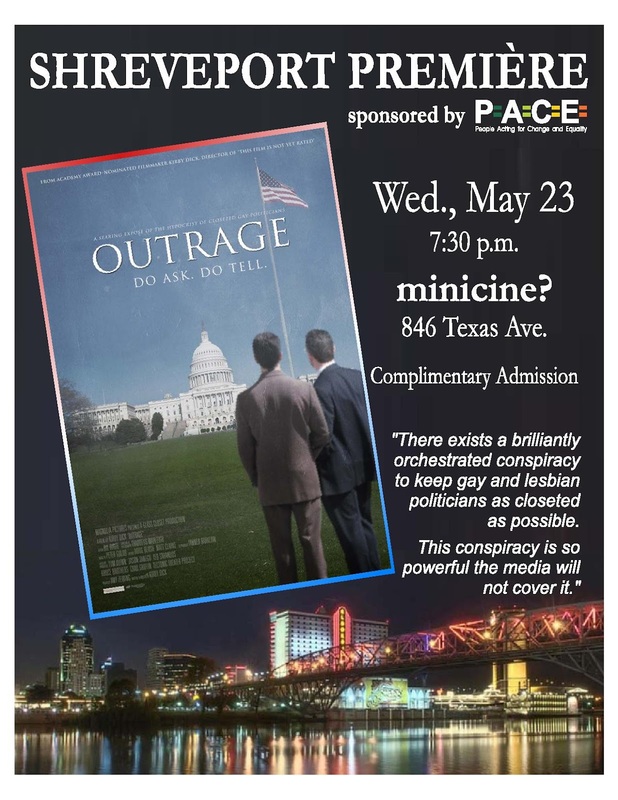 Even today in Shreveport, a media representative has criticized PACE for showing “Outrage” saying it’s time to just let this go, simply confirming that the media conspiracy continues. “Outrage” makes very clear that the fight for equality for gay Americans has no greater enemy than the closet which requires public policy makers to stigmatize and tell lies about their fellow gay Americans in order to hide the truth of their own lives. PACE (People Acting For Change and Equality). 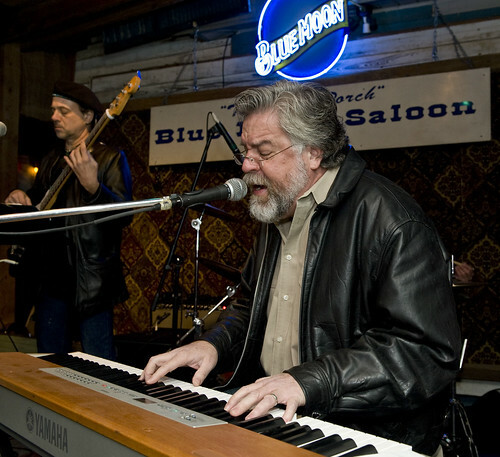 2009 David Egan, Frishberg Family Benefit, Blue Moon, Lafayette, Jan 12 (4 of 18), a photo by cajunzydecophotos on Flickr. Join Tipiitna's Foundation, Let's Be Totally Clear, & Club Status for a Smoke-Free evening of Live music, Free food and fun, says David Egan. Music lovers can have a drink and celebrate a rare tobacco-free night at the riverfront club. Musicians, bar and casino employees have a Louisiana organization, www.letsbetotallyclear.org, that is leading the fight against the smoke-filled, hazardous air that fills most Bayou State clubs and casinos. The show on Thurs, May 31, will feature Buddy Flett, David Egan, Ian Quiet, AJ Haynes, MD & Mr Christopher. Catering provided by Lagniappe Catering. 7pm - 11 pm. Must be 21 to Enter. From bluesy to jazzy, singer AJ Haynes has a seductive sense of style and melody. 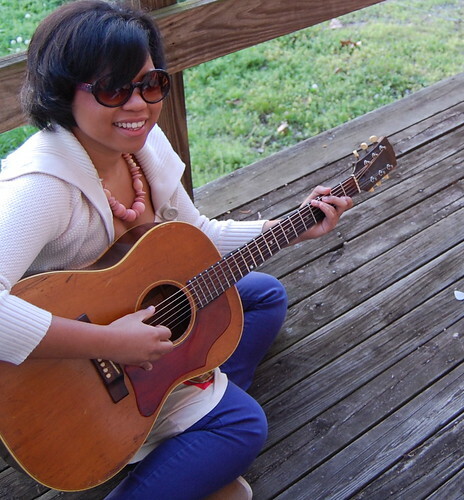 Catch her under the chandelier at Columbia Cafe on Sat, May 19, 9 pm to midnight, says Chase Boytim. Highland Blues 2006, a photo by oneeyeddogblues on Flickr. "Join us for our Gala Benefit Event, "When the Saints Go Marching In," in the Eldorado Casino Grand Ballroom, says Lois Robinson. "It will be a sparkling evening of food, wine, music, and fun -- all to support the SSO!" 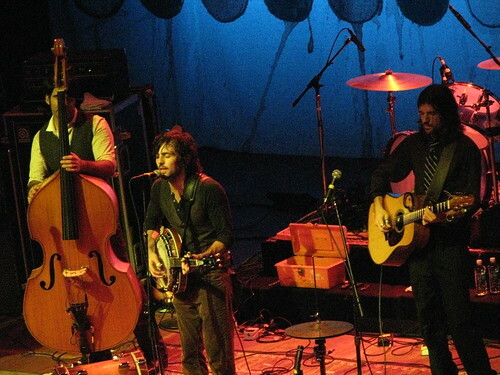 avett bros 012, a photo by ACRN on Flickr. With the loss of Levon Helm and a resurgence of value in the eclectic music called Americana, the Avett Brothers are riding high. The two brothers and their band are known for their harmonies and the ability to make a concert into a testimonial event. Catch them at the Strand Theater, Shreveport, on a Tues night for $38.50 and you will talking about the show all summer. Right now the Avetts are in the enviable position of helping bind and heal an ailing population, crossing generations and musical boundaries. thestrandtheatre.com. Charge by phone at 318 226- 8555. Pierce Pettis, a photo by dfazack on Flickr. "One of our strongest performers in recent years returns to the Shreveport House Concert Series at Fairfield Studios next Sunday," says Jim Huckabay. More about Pierce at piercepettis.com. Reservations recommended at www.shreveporthouseconcerts.org, by email: reservations@fairfieldstudios.com or by phone: 318 219-7688. Sunday, May 20, 7 pm at Fairfield Studios, 1510 Fairfield Avenue, admission $20 (cash only, please). 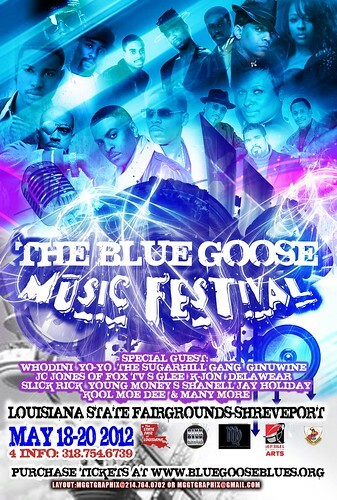 Blues Goose Music Fest May 18 - 20, State Fairgrounds, Shreveport, a photo by trudeau on Flickr. The Blues Goose Music Fest, Shreveport, began at Festival Plaza and was a modest affair until the 2012 urban agenda blow-up. Blue Goose Foundation chief Akari Hinton has taken the former blues fest into the hip hop arena by moving to the State Fairgrounds and booking classic headliners like Whodini and the Sugarhill Gang. As of last week this was the line-up, which is subject to change, of course. 2012-037-3810, a photo by Harding Theatre on Flickr. "Omigod, you guys!" A city big enough to have numerous dramatic performance schools is a blessing - up to a point. In May and June two of the top youth drama organizations - SLTA and ACT - are presenting the same musical: Legally Blonde. My solution to which to attend makes sense to me; I'll attend both. As a performance-minded teacher I have followed the development of numerous students. And I have favorites - gifted performers - in both productions. Shreveport Little Theater Academy will produce Legally Blonde, the Musical, based on the movie Legally Blonde, in May. The dates are May 16, 17, 18 and 19, 2012, at Shreveport Little Theater, says Robert Darrow. Academy of Childrens Theater presents Legally Blonde: The Musical, June 8 and 9, 15 and 16 at 7pm in Marjorie Lyons Playhouse, says Cynthia Whitaker. See the SLTA page on Facebook to get acquainted with their personalities. There's an equivalent Facebook page for ACT on which you will meet their line-up. Travis Jones of Houston Jones, a photo by Zen Curmudgeon on Flickr. In the vast world of music being made by people associated with Shreveport, the name Travis Jones is prominent. 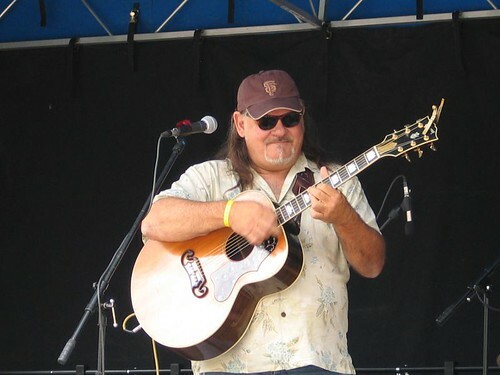 He leads an eclectic group called Houston Jones. Houston Jones is a San Francisco-based high-octane Americana band, says Houstonjones.com, that performs an original repertoire that ranges from bluegrass and folk to blues and gospel. 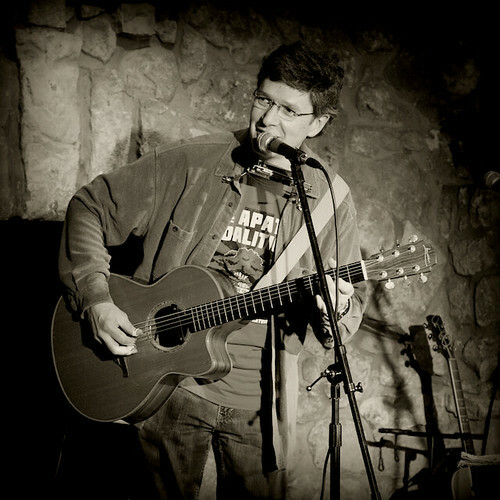 Travis Jones (lead vocals, guitar), began performing as a child accompanying his mother on gospel tours in the South. He honed his soulful delivery in his years as a child preacher in churches around his native Shreveport, only to throw down his bible when he saw the Beatles on Ed Sullivan. Jones band mates have awesome credits. And they've shown top chops in their youtube-posted work. Enjoy. "My last visit with Maurice Sendak was the best," says Bill Joyce in The Daily Beast, a publication of Newsweek online. "Maurice had been essential in my life since 1963. Where the Wild Things Are had cushioned the primal blow of losing Santa Claus and King Kong in the same crummy week when I was 5. When I was 16, I’d saved every nickel I could rub together to buy The Juniper Tree, his collection of Grimm’s stories. My mother had just died and I was lost in grief. But I found the perfect place to heal in Maurice’s beautiful, harrowing illustrations." Follow Joyce's Sendak memories here. TEDxRedRiver explores the arts at minicine? in May, with talks by four local artists, says Sara Hebert. TEDxRedRiver, an independently organized TED event, will present “Exploratory Arts” at 6:00 PM on May 22 at minicine?, 846 Texas Ave, Shreveport. Bradenton, FL, went on to cater farm parties in Denver, NC. He now owns Lagniappe Foods in Shreveport. His culinary experience comes full circle in the construction of highly-functional, memorable and exciting kitchens. Kathryn Usher creates artwork influenced by popular culture, voodoo and politics. 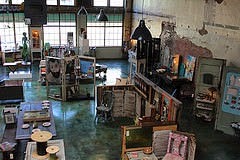 Her works incorporate digital media, fiber/textile, recycled/found objects and traditional materials. In 2010, she was recognized by UK art scholar Dr. Melissa Westbrook as one of the artists in the Neo-Outsider art movement. Usher is in the process of turning her frontyard into a folk art environment. Dacoda Montana is a musician and artist whose performance-based, down-tuned, avant-distortion group John Calvin is an experiential multi-media methodology investigating the transformative nature of analog technologies. melancholic "dirge-concrete" compositions. He believes in the importance of place. 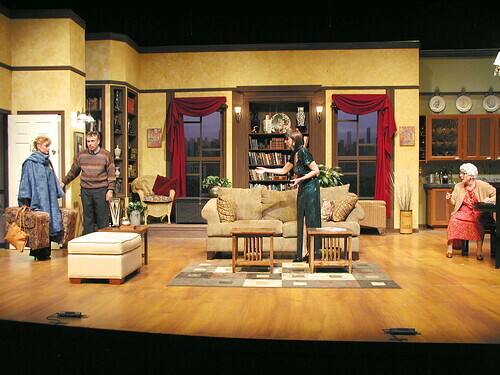 Naples Players---Tale Of The Allergist's Wife, a photo by The Naples Players on Flickr. Patric Mc Williams directs the The Tale of the Allergist’s Wife for River City Rep.
Allergists Wife was Tony nominated comedy and ran for two years on Broadway. Kenyon has appeared on Broadway In Nine, Titanic and On The Town. Also: Susan Kirton, Ruth Doreck. - East Bank Theatre, 630 Barksdale Blvd., Bossier City. - $35 general admission; $10 student/military 10 minutes before curtain time with valid ID. Lt Gen John Spencer Hardy, Shreveport, a photo by trudeau on Flickr. Logansport, Louisiana, native Lt General John Spencer Hardy has died in Baton Rouge at age 99. General Hardy was a 1938 graduate of Centenary College. Having retired from the Air Force in 1970, he lived in Shreveport and served on the Centenary College board of directors for many years. A member of numerous prestigious boards, in 2008 he was named a Louisiana Legend by LPB. 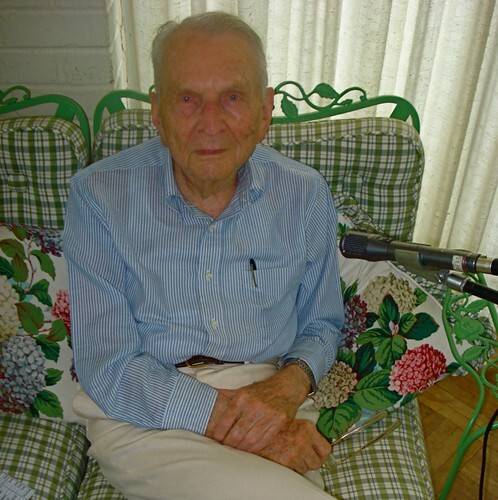 In 2009 Hardy was interviewed for the Shreveport regional Arts Council project Triumph Over Tragedy: A Commemoration of the 80th Anniversary of the Great Depression/New Deal Era in North Louisiana. In the interview Hardy is reflective and measured in tone. Away from the mic but adding comments is his wife, Norma Ann Hendrick Hardy. The recording is almost an hour in length. Listen to it at http://archive.org/details/LtGenSpencerHardyShreveportOnTheGreatDepression. Paul Roney, Chase Boytim, Shreveport , a photo by trudeau on Flickr. "We'll take over in about 2 weeks," said Chase Boytim about his recent purchase of Columbia Cafe. Boytim, manager and part owner at Fatty Arbuckles, one of downtown Shreveport's liveliest taverns, has purchased the restaurant with New Orleans partner Paul Roney. 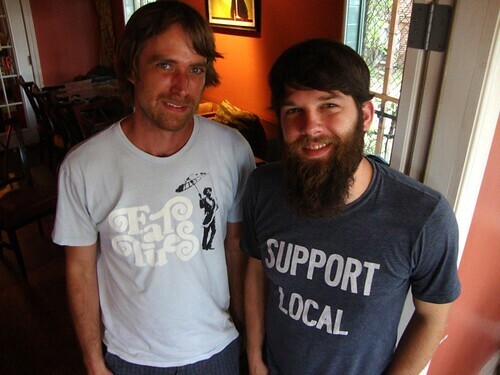 Boytim and Roney have been associates in promoting concerts in the Big Easy and Shrevetown for several years. Their plans call for a whole new approach to be unveiled at Kings Hwy and Creswell this summer: a tapas bar. Matthew Linn explained that he is currently a full-time nursing student as well as a Caddo Commissioner. He is also prepping his property, he said, for his coming wedding to Lisa McCraw. As a Caddo Parish leader Linn said, "Look for the commission to take over the dog park project and also to announce expansion of area bicycle trails."